In 1942, renowned science-fiction horror writer Curt (The Wolf Man) Siodmak published a novel called Donovan’s Brain, which became an instant bestseller and led to three movie versions, of which the first was Republic’s The Lady and the Monster (1944). Despite being a Poverty Row studio, Republic made a solid, tense sci-fi horror thriller from the book. The original story in diary form recounts an attempt by Dr Patrick Cory to sustain a brain extracted from the body of a multi-millionaire, W.H. Donovan, following a plane crash. He becomes telepathically possessed by the brain, his personality transformed for the worst into furthering the crooked deeds of its owner, who had murdered to cover his dubious financial route to the top. 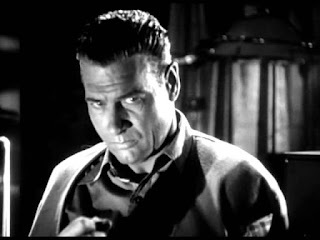 For the film translation directed by B-movie stalwart George Sherman, writers Frederick Kohner and Dane Lussier made changes, specifically allowing Cory (Richard Arlen) to be an initially unwilling accomplice in the experimentation of an already mad scientist, Professor Muller (Erich von Stroheim). This was a shrewd move as it gives Cory a greater character journey, descending from virtue into criminal corruption, and showcases a creditable range for the established tough-guy persona of Arlen. The actor was an ex- World War One pilot who found a novel, accidental way into the movie business by crashing his messenger delivery bike into the gates of Paramount Studios. His handsome looks caught the attention of their bosses and he began a long if undistinguished career from there, most notably in the early Clara Bow WWI drama Wings (1927). teutonic authority as in Republic’s The Crime of Dr Crespi back in 1935 (reviewed here), which incidentally was the studio’s last horror film for almost a decade till The Lady and the Monster. 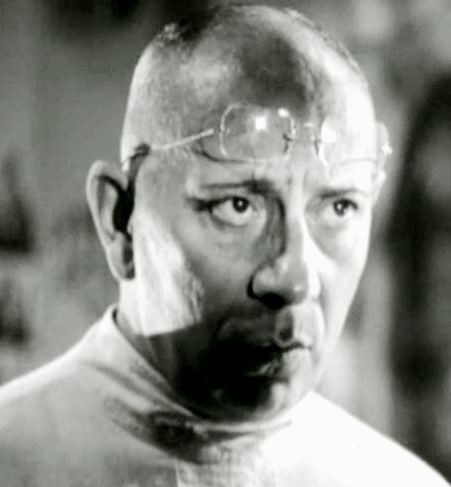 As we saw in that review, Stroheim’s equally uncompromising manner as a film director led to his downfall, and a long period slumming it in B-movies till his striking comeback in Billy Wilder’s Sunset Boulevard (1950). As Muller, his ethics-free megalomania is the catalyst for Cory’s developing ruinous fascination. Another added plot element that amplifies the danger of Cory’s seduction to the dark side is a love relationship with Janice (Vera Hruba Ralston). Such is the temptation of Muller’s potential breakthrough in brain preservation that Cory cannot follow his plan to take her away from the madman (actually her guardian but with an unhealthy interest in protecting her). Regrettably for Stroheim, his role’s impact is then reduced till the film’s climax. Slightly more regrettable is the size of part handed to love interest Ralston. She is a weak actress hitting single-note histrionics throughout. According to IMDb, under her real name of Vera Hruba she was a successful Czech ice-skater before Republic’s boss Herbert J Yates had the idea to import her and promote his protégé (translation: girlfriend) to become the studio’s hoped-for equivalent of Sonja Henie. Her performance is the sole one among the favourable cast that skates on thin ice. Arlen’s work in the lead though is well shaded, not only by his convincing emotional degradation from relaxed affability into ferociously dark intensity, but by the moody film noir cinematography of the renowned John Arlen who distinguished himself in the genre with He Walked by Night (1948) and I, the Jury (1953) before sharing an Academy Award for Colour Photography with Alfred Gilks for An American in Paris (1951). Arlen’s flamboyance of manner caused him to be relegated for a period to the lower level studios such as Republic – much to their gain. His atmospheric lighting accentuates the unfolding sinister activities on screen as well as the actors’ performances, obscuring them in shadow according to their depth of corruption, most notably in the thunderous inner turmoil cast over Arlen’s half-lit face. Suspended in a luminous tank, the brain is inert to begin with. Cory and Muller rack their own brains for how to enable the dormant Donovan to communicate with them. After they discuss the far-fetched possibility of telepathy, Cory feeds it a high dose of blood plasma. Suddenly his dreams are encroached upon by a watery burbling voice only he can hear - it is an urgent opening message from the dead millionaire. Once linked, it tells Cory his secret bank account code and then we’re off to the races – or rather “Federal Prison” – the brain remote-controlling Cory to his mental host’s overriding mission. The young doctor becomes embroiled with Donovan’s shady attorney Eugene Fulton played by Sidney Blackmer, later famously embodying occult coven master Roman Castevet in Rosemary’s Baby (1968), and his scheming widow Chloe Donovan (Helen Vincent, former wife of tennis legend Fred Perry). Corey is inexplicably drawn to aid prisoner Roger Collins (William Henry) who it turns out -take a deep breath - is a secret lovechild of Donovan, framed for the murder Donovan committed himself upon his secretary Howard, who was blackmailing his boss over threatened publication of a tell-all biography exposing his dirty dealings. With complicated plot business like this puppeteering Cory about, it becomes vital to shut down the crafty cortex. A dose of morphine is given by Muller. However the sordid cerebellum grows in monstrous power to the point where it can even survive independently of electrical current, much to Muller’s macabre delight. Worse still, it literally drives Cory into almost committing the unthinkable, running over a star witness in Collin’s trail, innocent teenager Mary Lou (Juanita Quigley), until Janice takes the wheel from him. Muller’s frosty and ever-hovering housekeeper Mrs Fane then emerges as a potential ally on the side of good. Though Muller cruelly pinpoints her help as being motivated by jealousy of Janice, even her enlightened selfishness is valuable in fatally drugging the manipulative brain. Fane was played by Mary Nash, who established her formidability as society matriarch Margaret Lord in 1940’s The Philadelphia Story. A laboratory climax belatedly returns Stroheim to make an impact as he holds Cory at gun-point. The obligatory grapple between them is curtailed by Fane proving even more helpful by shooting Muller. 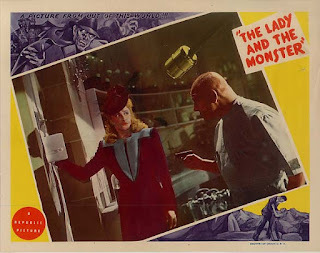 The Lady and the Monster is an above-average supporting feature from Poverty Row’s Republic, The misleading poster campaign depicting Cory wrongly as a fanged demon in hat and coat was an unnecessary misfire since the film stands up well enough on its technical skill, a mostly strong cast and sets that show relatively decent production values. 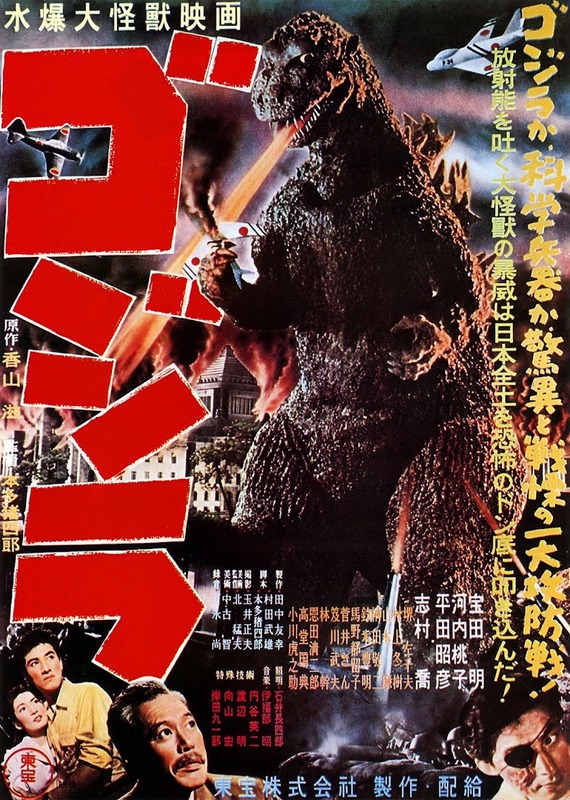 It would be remade in the future by MGM as Donovan's Brain (1953), and as a West German/British production by director Freddie Francis as The Brain (1962).